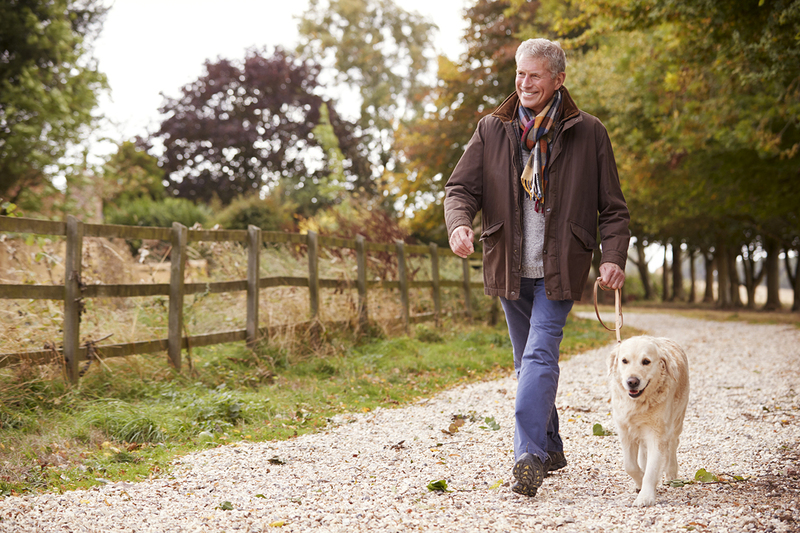 Walking your dog is a great way to stay active, but a new study published in March in the Journal of the American Medical Association suggests that dog-walking has led to more fractures in adults over the age of 65. The national study notes that hip fractures occur most frequently. This is concerning because these types of fractures are more likely to affect quality of life and result in a loss of functional capabilities. The trend we’re seeing in Connecticut is no different. Stephen Davis, MD, an orthopedic surgeon with Hartford HealthCare’s Bone & Joint Institute, says he sees dog-walking injuries year-round. Although he sees many hip fractures, he says ankle, shoulder and wrist fractures are also common. “Dog-walking injuries are especially common with large, excitable dogs that pull a lot or chase other dogs or squirrels,” said Dr. Davis. Still, he says, people should continue walking their dogs because it’s a great form of exercise and it increases social connections with others.